This is one of many very popular Ukrainian dessert’s. It has been around for generation’s, and a lot of us love it very much. These Dumplings come out super soft, and go really well with tea. For the inside we used poppy seed butter cream and on the outside sugar powder. Give this recipe a try and let me know what you think. 1.) In a large bowl add butter and flour. Mix well. In a small cup add baking soda and vinegar and let it bubble. 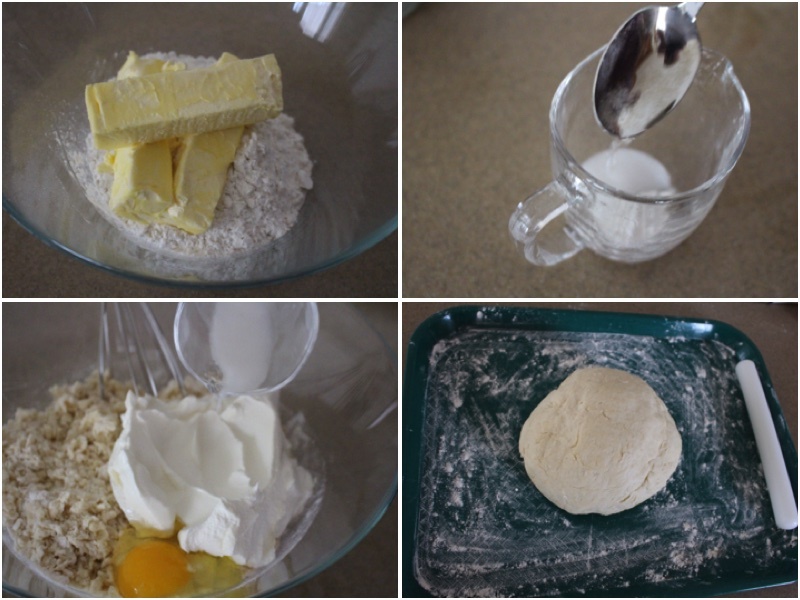 Add eggs, baking soda mixture and sour cream to your butter mixture. Kneed until you get a dough. 2.) On a lightly floured tray roll out your dough and cut it with a small plastic cup. 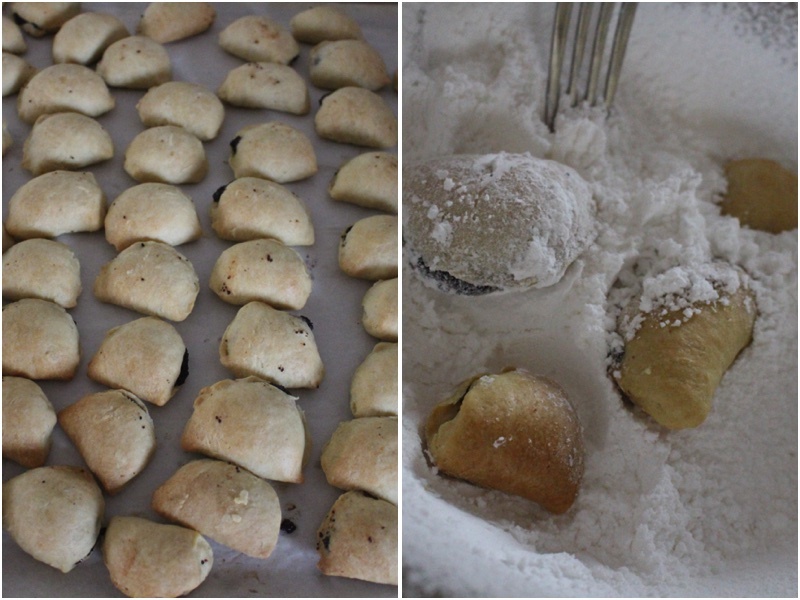 Place 1/4 tsp of poppy seeds on each piece of dough and fold it over so its enclosed. Place all your dough pieces on parchment paper. Bake for 20 minutes 350ºF. Take them out and let them cool. 3.) 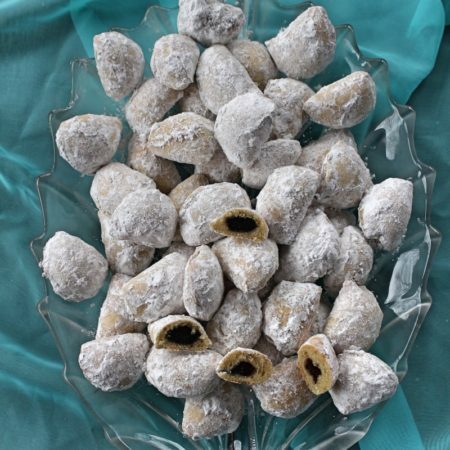 Roll your dumplings in your sugar powder, place on a serving dish and enjoy. 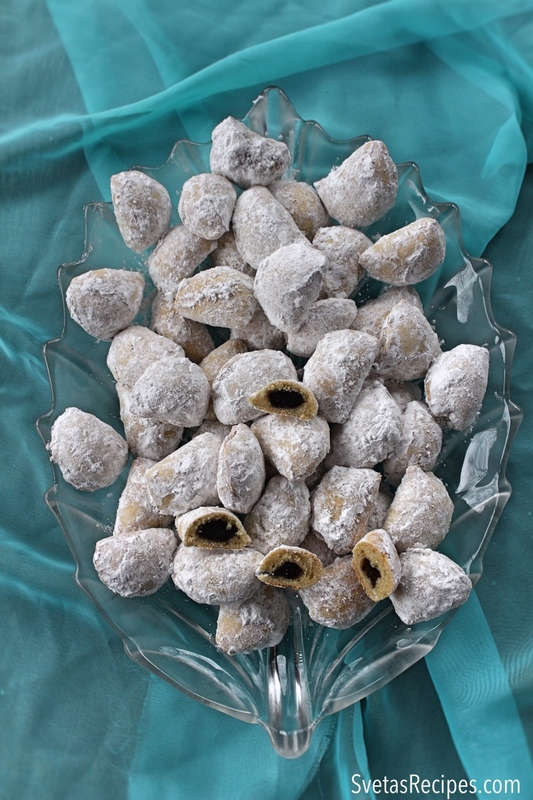 This is one of many very popular Ukrainian dessert's. It has been around for generation's, and a lot of us love it very much. These Dumplings come out super soft, and go really well with tea. For the inside we used poppy seed butter cream and on the outside sugar powder. Give this recipe a try and let me know what you think. In a large bowl add butter and flour. Mix well. In a small cup add baking soda and vinegar and let it bubble. 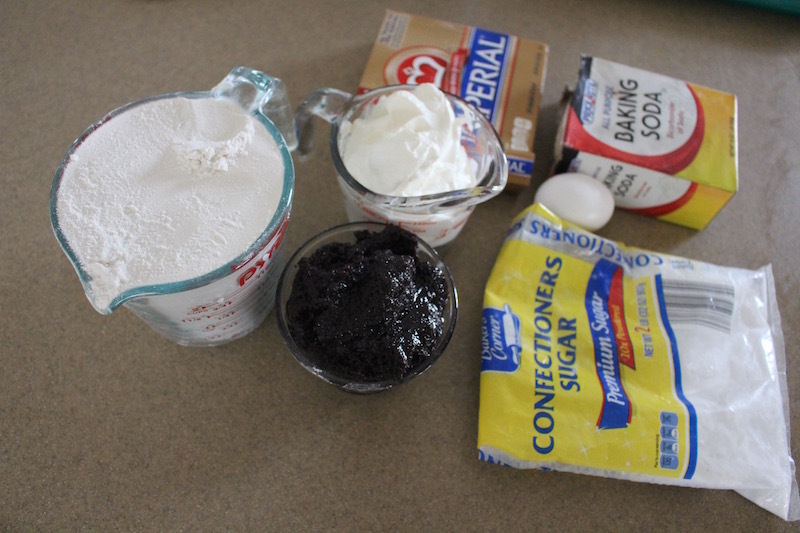 Add eggs, baking soda mixture and sour cream to your butter mixture. Kneed until you get a dough. On a lightly floured tray roll out your dough and cut it with a small plastic cup. 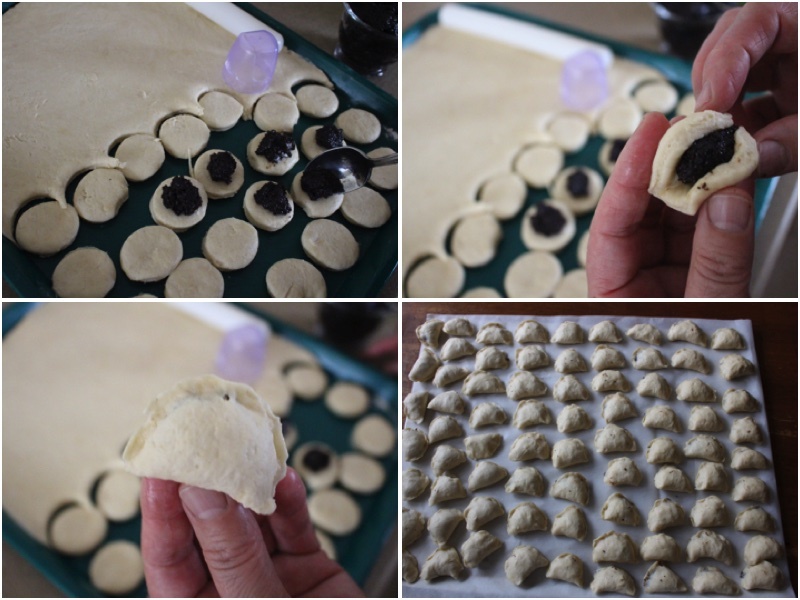 Place ¼ tsp of poppy seeds on each piece of dough and fold it over so its enclosed. Place all your dough pieces on parchment paper. Bake for 20 minutes 350ºF. Take them out and let them cool. Roll your dumplings in your sugar powder, place on a serving dish and enjoy.